Opening at the Bloor Hot Docs Cinema this Friday, July 26th, Mussels In Love is a feature-length documentary by Willemiek Kluijfhout about the life cycle of the Zeeland mussel and the human interaction that unfolds around it. 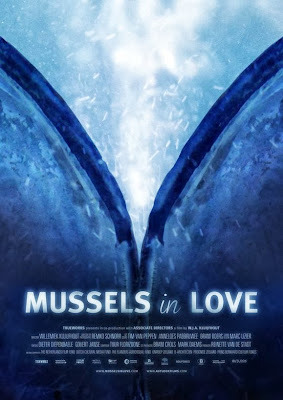 I had the pleasure if previewing Mussels In Love over the weekend and I gotta say, I learned so much more about the life and food of this strange shellfish. The documentary follows the mussel on its odyssey from seabed to restaurant plate, where it encounters passionate enthusiasts such as biologist Annelies, gynecologist Jan who uses the glue that mussels produce to save unborn children and top chef Sergio Herman (below) who, after a love-hate relationship with the shellfish, now specializes in preparing it. Mussels In Love also looks at the nature of how we sustain our food supply and demonstrates the centuries old bond between the Dutch and water, specific traditions and pastimes (mussel festivals, mussel breeding grounds and their auctions), the gastronomic Belgians (who truly love mussels and can’t get enough of them), the Dutch businessmen who mainly sell them and the centuries old struggle between north and south - between the Zeelanders and the Northerners and also between the Dutch and the Belgians. 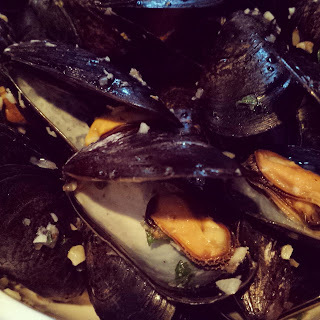 Mussels In Love also made me crave mussels! I had some P.E.I. mussels when I was out for dinner last night. Not even kidding.